When you have five star reviews and your competition doesn’t, you win. 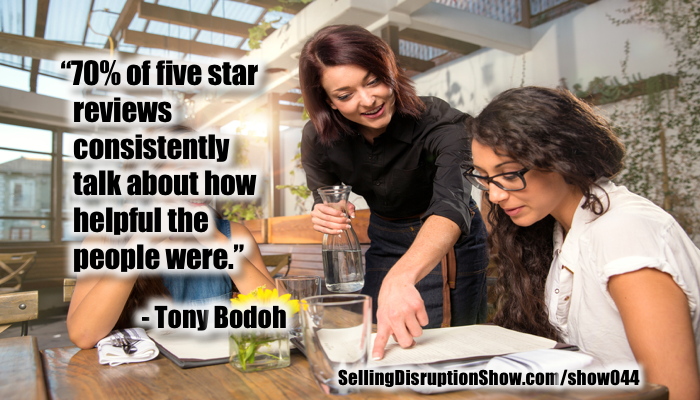 Tony Bodoh, a master at helping companies engineer five star reviews, discusses why they are so important to your business success, and what you and your team must do to earn them. In this powerful discussion, you’ll get a whole new appreciation for reviews, what they mean, how to interpret them, and how to get them. Discover the insights, tools, and workshopping you need to be a confident, enthusiastic, efficient, and effective executive leader. Next event: Denver, January 19-20, 2018. Two for one early bird special for the first 10 tickets. Mark S A Smith: My guest today is Tony Bodoh, one of the most interesting people that I have met in recent times. We’ve had three very long conversations, and each has been extraordinary, changing my view of how we need to disrupt the world, why? Because Tony helps companies, large and small, engineer five star customer reviews. Today, we are a review-driven society, Tony is the master of creating reviews that create profitable businesses. Welcome, Tony. Tony Bodoh: Thank you very much, Mark, it’s great to be here. I have really enjoyed our conversations, because you have pulled me forward in so many ways, and I can’t wait to see what comes out on this show. Mark S A Smith: Yeah, I can’t wait either, I mean every conversation has been amazing. Now, Tony has written a couple of books, you’ve written The Complete Experience and Leverage, you’ve been working with massive hotel properties and insurance agencies to help them claim massive market shares. You do this by looking at the data. Tony Bodoh: Novel idea, right? Mark S A Smith: Yeah really, let’s see what’s going on, and you have taken the information from lots and lots of reviews and teased out what’s really going on in the customers’ mind. Tony Bodoh: It’s fascinating, because it’s not just looking at the reviews that matters, it’s this bridge between the qualitative nature of the review and the experience they’re having, when we combine that with the actual sales data for those same people. We talk about big data a lot in this world today, and it’s on the tip of every executive’s tongue, but the reality is, how do you actually bring together quantitative data like sales data, behavioral data, and qualitative data, which is the experience data? Then how do you show that giving someone this experience actually generates these dollars? That’s what I would say we specialize in doing, that, and understanding what is the driver of higher sales, either in the moment or in the lifetime of the customer. Mark S A Smith: It is nothing but customer experience. Mark S A Smith: Why is it so important that companies strive for real, genuine, not faked or bribed five star reviews, why is that so important in business today? Tony Bodoh: It matters so much today because we are, as you said when you started this, a review-driven society. We are out there looking for other people’s experiences, and I think there are a couple factors that come into play. One is, we’ve always been a society that wants to know what other people experience before we do it, so we asked our friends and family. Some studies show that well over 50% of decision making in products and purchasing is related to the family and friends and their experience. Mark S A Smith: Word of mouth, this is considered to be one of the most powerful marketing aspects. Mark S A Smith: But the problem with word of mouth is, we have zero control and it’s un-scalable. Tony Bodoh: Absolutely. The other side of it that’s a problem today for businesses, is that when the iPhone was released in 2007, it shifted the market. Now, we didn’t know it was shifting at the time, I was in the hospitality industry, we didn’t realize what was happening, but Trip Advisor existed already at that point in time, and there’s others like Trip Advisor, but we’ll play with them a little bit today as we talk. When the iPhone was released, it gave us immediate access to Trip Advisor online, so we could write reviews, we could read reviews, we had access to data plans that were just absolutely ridiculous, as far as we can get access anywhere we are, we can have access online as long as we want. It created an opportunity for us to have availability to information that didn’t exist before. I don’t know who’s reviewing the hotel I want to go to, but I’m going to go find out what they said. What’s fascinating about these online reviews is that the way they’re structured, the questions that are asked cause us to say, “Would I love that experience?”, if we were reading a five star review, or, “Could I tolerate that experience?”, if we’re reading something lower than a five star review. Mark S A Smith: Which one of those experiences is more profitable? That’s the question to ask, listener, which one of those is more profitable? That said, I think it’s really important that there is a market for “tolerable”. Tony Bodoh: You cannot be good at everything, you cannot be great at everything. You’ve got to hit a base line for your industry, but you’ve got to decide, “What am I going to be admired for?” We’ll talk about the admiration equation a little bit more, but, “What is it that I’m going to be admired for?”, because that’s what a five star review is. It is an outward-facing emotional expression of admiration, of awe, or of gratitude. Your customer has just had an experience that stands out to them enough for them to say, “Wow, that was impressive, and I want to tell everyone I know about that. I want to tell people I don’t even know how great it was.” It’s profitable because they’re actually word of mouth marketing for you to strangers, to people that are online, and at the same time, you’ve built a relationship that if they have any way of giving back to you, if they’re ever going to buy that product or your service or go to your hotel again, they’re going to be back to your hotel, because you’ve given them that experience. Tony Bodoh: Absolutely, and that comes back to the identity of self. It’s fascinating, because as we talk about what someone is writing in a five star review, they’re actually saying, “This was the experience I had.” They’re willing to proclaim that to the world, so now the world looks at them and says, “Oh, Mark or Tony had this experience, I don’t know them, but I’m going to trust them because of what they’ve written here.” Then when we go to the hotel and we have that experience, or we go to the restaurant, we have that experience, we believe that Mark and Tony are telling the truth, and so it builds their credibility. On top of that, it causes you or me, when we’ve written a review, to go back because we have just invested ourselves into the success of that company. Mark S A Smith: Yes, we’ve identified with them, self-identified with them. One of the things that you taught me through our conversations is that we have to change a prospect’s identity to include you as part of their tribe. I think that’s such a powerful concept, because it truly creates a competition-proof environment, and it’s highly disruptive because it’s not about the product, it’s about being part of the tribe, it’s about that self-identity. Tony Bodoh: Well, if you look at today’s world, we don’t necessarily want products, we want experiences, we want to be the person who had a particular experience, which if you can listen to that closely, “I want to be the person, I want to identify as a person who’s had this experience,” and so I don’t necessarily need to own a car or own a house, but I want to be the person who gets to locations on time. I want to be a person who has a comfortable place to live that has a great view. When we look at the ownership experience, it’s not so much what it used to be anymore, we want to have experiences of being a person in a moment, and having as many experiences as we can throughout life. 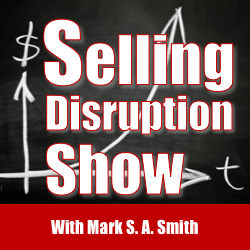 Mark S A Smith: That leads to the conversation about how buyer behavior is shifting as the generations evolve. One of the things that you pointed out to me, which I thought was absolutely brilliant, is that Baby Boomers, of which I am of that generation, we were taught that achievement came through accumulation, and that is ownership, pride of ownership. If you didn’t own it, you didn’t have it, and our greatest fear was losing what we owned, which is why we bought insurance and that’s why we were careful. The current generation, Millennials, I raised five of them, they don’t care about ownership, what they care about is access. They’re not afraid of loss, they’re afraid of missing out on something. That shift really changes how we have to approach marketing. Tony Bodoh: If you go back to your day when you were a child, and how you played games, how you played games was playing board games that had set rules of how you accumulate and how you move across the board. Mark S A Smith: Monopoly, Game of Life. Tony Bodoh: Exactly, who gets to the end fastest. Mark S A Smith: With the most. Tony Bodoh: Which is fascinating, because it does change how we market to them, it does change how we engage them. It changes our entire product. I just saw that, yesterday I think it was, the house of representatives approved self-driving cars, and they’re basically paving the way, no pun intended there, but they’re paving the way to block the states from preventing it. Mark S A Smith: That’s so good. Tony Bodoh: If you think about this, now we’ve got self driving cars, that takes Uber to an entirely new level. I don’t need a driver, I just need a car to show up. Tony Bodoh: Then you look at the disruption in the insurance industry. Well, do I need to buy insurance for myself as a driver of the car? No. Do I need to have insurance for a car, because I’m not driving? No. What do I need insurance for? The corporation that’s running the Uber-light car has to have insurance for me. Tony Bodoh: We don’t have to buy a car. Think about the financing industry and how that shifts now. Well, if I don’t have to buy a car and don’t have to put out $300 a month or $400 a month on a car plus the fuel and everything else involved with it, what do I do with that money? There’s this talk in how the Millennials are just this massive force, they’re going to out-size the boomers as far as the market that they can drive, the dollars they have to spend. Well, think about the shift, if we get self-driving cars in the next five to 10 years, think about the shift, what are they going to spend that money on? Because they don’t need to spend it on transportation, they don’t need to spend it on insurance, they don’t need to spend it on these things that for the last 100, 120 years, we as a culture have really said, “This is how we get around, this is how we have freedom in society.” What are they going to spend it on? That excites me and thrills me to think about the changes that we’re going to see, because now these markets open up. Mark S A Smith: Such disruption in so many different ways. We won’t need auto part stores, we won’t need garages, we won’t need mechanics, we won’t need filling stations. Some people say it’s a long way off, I think we’re less than a decade away from all that happening. The proof of that is going back to the days of 1917, 1918, 1919, when Henry Ford and the Model T came into play, it took only a decade or so for all those filling stations to go into place. It’s going to happen again very quickly. I love this conversation, I want to get back to talking about customer experiences, and how you can indeed overrule a poor product with a great customer experience, and that itself becomes disruptive. If you’ve got a product that you think is inferior to the competitor’s, we can fix that through a better customer experience. Tell me about your experience in doing that. Tony Bodoh: One of the key things to recognize is that as we grow and become aware of this experience-based culture, we’ve got to understand, what is it that people want to experience? Positive psychology, which is a whole new school of psychology, it really was, I would say, founded between ’98, ’99, 2000, that time frame, by Dr. Martin Seligman, they have found that in scientific studies, there are five things that we seek, and they call them autotelic, because they’re almost addictive, we seek them for their own sake, but they’re actually growth-oriented and they’re helpful for us, they’re positive experiences. The first one is positive emotions, and if you think about customer experience, almost everyone goes here, surprise and delight. Okay, I get that, I buy into that, I don’t disagree. The problem is, they forget the other four, and the other four include engagement, which is like the feeling of being in the flow, the feeling of being part of something bigger than yourself, the feeling of ease and effortlessness as you achieve something. Then there’s the positive relationships you have with other people, now that’s a big one in customer experience, we’ll come back to that one. Then there is meaningfulness, how meaningful is something, and I’m going to do something just because it’s meaningful to me. Look at all the movements that have been started over the last 15 or 20 years that Millennials are part of and actually really growing because they want to be part of something meaningful in life. Then the last one is achievement, sometimes we just want to master something to say we mastered it, this whole concept of leveling up and these games that they’re playing as Millennials, they want to achieve a new level, they want to master something different. If we look at those things, positive emotions, engagement, positive relationships, meaningfulness, and achievement, we say, “How do we craft an experience that captures three or more of these, that really drives that?” Now, if you look at hotels as an example, and I’ll touch on hotels first, most hotels that have five star reviews, you’ll find that their five star reviews specifically talk about the human relationship. In fact, in our research, over 70% of five star reviews, no matter what level a hotel is at, whether it would be a two star hotel or a five star hotel, the five star reviews consistently talk about how helpful, how friendly, how service-oriented the people were, it’s about positive relationships. Now, I often wonder what’s going to happen as hotels continue to use technology to replace people, what happens? We don’t have a proven model for five star reviews where technology wows people consistently. Tony Bodoh: I’m beginning to wonder what’s going to happen there. An example of that is, I’ve seen several Hampton Inns, and I’m not sure exactly what Hampton Inn is doing, but if you look out there in many cities, Hampton Inn will be amongst the top five rated hotels on Trip Advisor for any particular city. Again, I don’t know what they’re doing, but I can tell you that it comes down to how the employees treat the customers, the guests. They are outranking five star hotels. Now, if you look at restaurants, it’s interesting because restaurants have another dynamic going on, either your restaurant is known for service and the relationships, or it’s known for its amazing food, it’s seldom you’re known for both equally. You either find restaurants that, you know there’s a pizza joint actually about five or six miles from me, it’s one of the top ranked here in Nashville, and there are long lines, there are long waits, the employees are rude and disruptive, they’re New Yorkers basically transplanted into Nashville, so they seem rude here in Nashville, but their pizza is to die for. People will go through all that pain in order to experience the taste, the quality, because that’s the only place they can get it in Nashville here. Gigi’s Cupcakes, which is a brand that actually grew up out of Nashville, there’s over 100 locations now, people don’t talk about the service of Gigi’s Cupcakes, they talk about the cupcakes. Once you know what you want to be known for, what you want to be admired for, the taste of the food, the taste of the cupcakes, or is it the service you want to be known for, you want to be admired for? Once you understand what you want to be admired for, what you want people to be in awe about, then you master that, and you do well enough in the other areas. Mark S A Smith: That’s excellent, what a really great way of saying that. It’s not about being all things to all people, it’s about picking one thing and being excellent there, interesting. Let’s take a look at the opposite end of the spectrum. If five star reviews always talk about how helpful the people are, in fact you point out in your book, The Complete Experience, genuine honest five star reviews always name somebody, they point out a particular person who did something, but let’s take a look at the opposite end, why do one star reviews come around? Now we’re talking about legitimate reviews, we’re not talking about ones that are faked to create competitive disruption. Tony Bodoh: If you’re trained, you can understand the difference between what’s a real review and what’s a faked review, and most business owners think that negative reviews are fake reviews, they go to that kind of as an automatic response. There’s actually quite a few negative reviews out there, but they haven’t been trained how to read them. Legitimate one star reviews, they had a really bad experience and they’re communicating it, really it’s driven by two things that we find. The first is revenge, they have tried to find a way to rectify the situation, and the customer cannot receive the compensation that they believe they’re due, because they believe they’ve been robbed. Mark S A Smith: I think that’s really important, to call out this concept of customers seeing themselves as one who doesn’t make a bad decision, “I only make good decisions,” and so the reviews are driven psychologically to protect their self-image. Tony Bodoh: If you can understand that the reviews are stories, and we talked about the hero’s journey in one of our previous conversations, the reviews online are really stories that they’re telling, and there’s always got to be a hero in the story. If you look at a one star review, it comes back to the guest or the customer really being the hero, has gone through this traumatic experience and this traumatic journey, and they’re here to either take revenge, how many movies do we see, you know you’ve got the hero taking revenge in the end, right? Then the last one is gratitude, when you realize that someone has gone out of their way, given of their resources, and not expecting a return. Those four things consistently show up in five star reviews, and because of that showing up, we’ve actually created what we call the admiration equation, which actually defines what is in a five star review, and there’s an underlying principle of what makes a five star review, although the content of the review may be different from one company to the next. Mark S A Smith: That makes sense. What you’re telling me is that the way that we can spot a fake review is lack of that emotional heroic involvement? Tony Bodoh: Absolutely. In fact, if you see that their five star review is not using personal pronouns like “I”, “me”, “we”, “us”, “they”, “them”, more often than not, it’s actually a fake review. Mark S A Smith: Wow, interesting. Then at the negative end, how can we spot those fake reviews? You don’t have to give away all your secrets, but maybe one or two. Tony Bodoh: There’s way too much for me to share on the show here. On the negative end, one of the things to look for is specificity, how specific are they about a particular event? I’ve learned actually this from a psychologist who teaches police officers and law enforcement how to spot liars. The level of specificity of a particular thing, and the use of personal pronouns, again, “I had this happen, we had this happen,” you’ve got to be looking for those types of things. If they’re just talking very generically, then it may not be a true review. Now, I don’t go through and try to identify true reviews versus false reviews, that’s not the focus of our work, but we have been able to detect this a lot of times, because of the level of specificity of the language, the descriptions of what’s happening, the event and those types of things. Mark S A Smith: Well, I think it’s important for us as consumers to at least have a little bit of that skill to detect false reviews, especially if there’s not very many reviews. If we’re relying on that for our own self-identity, this is a way for us to protect ourself from being lied to, and I think that’s a good thing. Tony Bodoh: Most of the fake reviews, because they’re written consciously, the person is actually trying to think about how to write the review, because of that, they’re not using the structure of language the way they would normally write a subconscious statement. The actual consciously thinking about something causes you to structure your sentences differently. Now, when you and I read that, we don’t know it, but we know it, because our subconscious mind will pick up and say, “That just doesn’t feel right,” and it’s this intuitive sense. If you’re reading a review and it doesn’t feel right, don’t trust it. Mark S A Smith: Good point. Tony Bodoh: It’s a gut instinct. We’ve done a lot of work around conscious and subconscious, and the actual functional words, the use of articles and conjunctions and personal pronouns changes when I’m consciously thinking about something, versus when I’m just allowing myself to tell about an experience, to tell a story. Mark S A Smith: Excellent insight. I’m going to shift gears just a little bit, because we could go on for hours with this conversation, but there’s a couple key points that I want to cover before we get to the end of the show. First one is, what do you see is the value of five star reviews versus four star reviews? I know you’ve done some research with the quant about the value of moving people from four to five star reviews in the marketplace, what have you found is the value to the companies that do this? Tony Bodoh: There’s really value in a number of different ways. Just from a return on investment perspective, what we have found in a variety of industries is that when customers give a five star review, that’s a lag indicator that they’ve actually spent more with your company. Again, go back to it, think about a review as public proclamation of who I am, my self identity. People who spend more tend to give five star reviews, and of course they have to have a positive experience in the process, but they tend to actually spend more in the process because they’re having a positive experience, and having a positive experience causes you to open your wallet a little bit further. We’ve seen in some industries between a 6% increase in expenditures, up to 250% increase in expenditures when people later give a five star review, so during their experience they’re spending money, and people that are exactly the same as them but give lower reviews, there’s this huge difference in the spend rate that they have in the moment. That’s just transactional, you look to the lifetime value, and they’ll come back again and again and again, they’ll trust you with other products. Let’s look at a simple example, Apple. Apple was a computer company, Apple introduced a music player, Apple introduced a cell phone, Apple introduced a tablet, Apple has created the concept, and Steve Jobs talks about this very early in his career, he talked about computing, not computers, very different. He talked about the act of computing. If you look at Apple, people have trusted Apple because they created great computers, and then they trusted them when they created a phone, and look at the lines that went around the store when they had that phone, and it’s consistent, continues to happen. Mark S A Smith: I don’t see companies that are creating Apple-killers having that same line out their door. Tony Bodoh: No. Dell tried, Dell tried to create the music player, I think they went into the phone business for a little while, but they have not been successful. You don’t see people lining up for the next Samsung device. Mark S A Smith: You just don’t. Tony Bodoh: There’s a following, but it’s not the same. Mark S A Smith: Right, that’s exactly right. The reason why Apple is so successful is because of the identity issue, Apple plugs into people’s personal identity. Tony Bodoh: Absolutely, and that’s a key part, and it’s one of the things that we saw, that brands that understand this whole identity factor, and that they create products that speak to the identity of the person. There’s fascinating research around the difference between iPhone purchasers and owners, they tend to be more liberal, from political sphere, they tend to be more open, they tend to be more supportive of certain types of nonprofits. If you understand that, now you can mine the data and you can sell ads to those people to influence them to buy your product. On the other side, people who are Android purchasers, they tend to be a little bit lower income, they tend to be more conservative, they tend to support different types of nonprofit organizations. It’s fascinating that these identities are out there, and so someone who starts to hear about, “Well, Apple users are this way, and I own a Samsung,” they may actually switch their device, because they want to be part of the crowd that they identify with, not realizing others identify with the Samsung. Mark S A Smith: Now, this particular piece of data is a little on the old side, but I was talking to a gentleman who buys a lot of online media, and he says, “I don’t even bother advertising on Android devices, it’s not worth it. I only advertise on Apple devices, it’s always worth it.” Interesting, that aligns with your data as well, very interesting. Tony Bodoh: That is interesting. Mark S A Smith: One of the things that you talked about is that five star reviews are not only a lagging indicator of spend, but they’re also a leading indicator of future profitability. Tony Bodoh: Yes. What I have found again and again is that there’s three categories of return on investment. There’s the transaction, so in the moment the people are having a five star experience, even before they’ve written a review, they’re spending more with you. There’s many different ways that that can happen, let’s take a restaurant as an example. Do you sit there a little bit longer, do you have an after-dinner coffee, do you have dessert, what do you spend in that moment because you’re enjoying the experience more than you would an alternative experience? Then from transaction, or from the receipt as I would call it, we move into the relationship, and that’s where you start to look at things like Apple, where you go into multiple product families. You may say, “Well, because I purchased this, I want to purchase that.” There’s five or six different ways that you can see the relationship expanding with a customer because they’ve had a positive experience, a five star experience with you. Then the third category is reputation, and this is where the customers are talking about you with others, they’re writing reviews, they’re telling people word of mouth about you, they’re bringing people to come and see you because they want them to be part of the experience as well. There’s the receipts, there is the relationship, and there is the relationship. Mark S A Smith: I see what you’ve done here, it’s the three R’s of ROI. Mark S A Smith: Each one of these three areas we can look on to improve, and we can get massive improvement in ROI, because we’re being very tactical about this. Tony Bodoh: Exactly. What I typically do is I’ll recommend, instead of focusing on how to move a particular number, let’s not go after getting more reviews online until we understand what it is we want them to be saying. Mark S A Smith: That’s right, because if you’re getting more bad reviews, you just screwed yourself. Tony Bodoh: Exactly. There’s a lot of technology out there today, you can buy these apps and these tools that help you get more reviews, but the problem is, if you don’t step back and say, “First, let me look at the reviews I’m getting,” if I’m not getting 50% or more of my reviews as five star reviews, the first thing to do is figure out what in the world is a five star review for me, and how do I do more of that, and eliminate those lower reviews? I’ve got to fix something internally before I turn the spigot on and get more reviews. Then I can go after more reviews. That’s a critical step that so many companies miss, they’re like, “Oh, I heard reviews are great,” they may even read my book and say, “Hey, you said online reviews are really important,” but they miss the critical point that you’ve got to know if your distribution of those reviews is on the low end. Even if they’re four star reviews, many hotels have more four star reviews than anything else, you’ve got to fix something, because people do not yet admire you. They may like you, but they don’t admire you. Tony Bodoh: That’s precisely how we look at it. We mentioned the admiration equation earlier, I’ll kind of break that down for you so people can understand what that means. In every five star review that we’ve looked at, and we’ve looked at millions of reviews and millions of internal surveys, so it’s the equivalent internally in the company if it’s a net promoter score or a customer effort score or whatever it may be, the top rated reviews and commentary contain five different things. First and foremost, there are multiple multi-sensory positive experiences, so that’s three right there, there’s multiple multi-sensory positive experiences. Now, what does “multiple” mean? Well, we have found three or more experiences are mentioned in these reviews. Multi-sensory means that they’re having multiple sensations, multiple emotions. It could be, we studied the Cleveland Cavaliers and the Q Arena actually a few years ago, and we found that people talked about the quality of the food, the quality of the seating, the ability to see the megatron screen up above, and the ability for ease of parking, getting in and out before and after the games. There’s typically three of those are mentioned that cause people to have this five star experience, that’s the multi-sensory. Then of course, they’ve got to be positive. Now the other two factors of a five star experience is that there are no unexpected negative experiences. I can expect a negative experience, and if it happens for me, I can still give you a five star review, you know that’s like the cost of going to a fancy resort. I know it’s going to be expensive, but I’m going there having that knowledge, so therefore it doesn’t scare me. So many marketers and so many salespeople don’t want to share the possible negative things, well they’re setting themselves up for failure. Mark S A Smith: Well, they are. 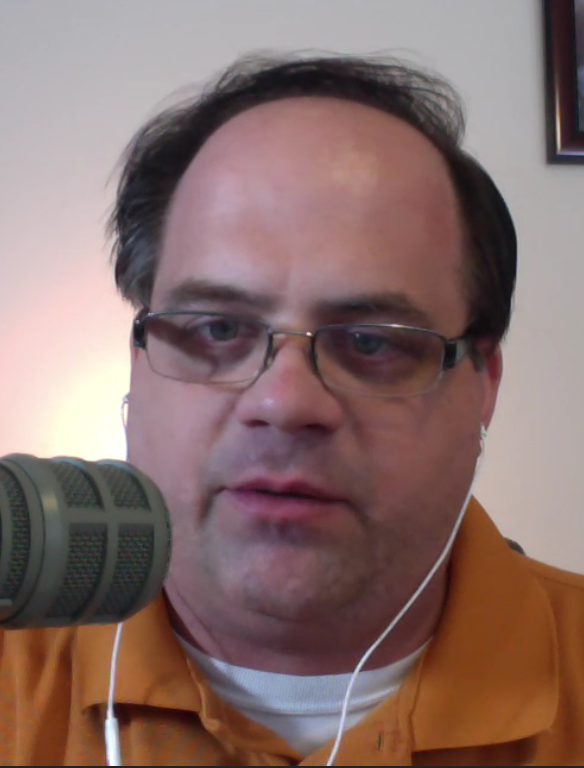 Tony Bodoh: If you share on the front end, “Here’s some of the challenges you may see,” after you’ve sold them on the positive experience, say, “Oh by the way, there’s these elements,” there’s ways to craft that experience in the sales process, but if you don’t tell them and they have an unexpected negative experience, you’re almost guaranteeing you’re not going to get a five star review. Mark S A Smith: I call those the non-fatal flaws of the experience. Tony Bodoh: That’s exactly it. Mark S A Smith: Discussing non-fatal flaws is one of the tactics to create trust fast, and what you’re telling me is that it is part of engineering a five star review. Tony Bodoh: Absolutely, you have got to deal with that on the front end, because if you don’t, you’re making a promise you cannot deliver upon. Mark S A Smith: As I recall, you told me that’s one of the things that happened with a travel company, where they were making promises online that couldn’t be fulfilled by the property, and it was killing the property. Mark S A Smith: You re-engineered the script, and the problem went away. Tony Bodoh: Exactly. It was three words that they were saying in their script as they were booking reservations, and the moment we changed those three words, you could see the online reviews and the internal surveys just skyrocketed from the number that they were receiving these top rated reviews from. Yeah, you’ve got to be able to deliver on what you promise, so you’ve got to make sure that your promises align with your consistent capability. That’s another thing, people may say, “Well hey, I can do this once and awhile.” No no no, what can you consistently deliver in an excellent manner? Go promise that, that’s your differentiator. Mark S A Smith: That’s the old cliché, “Under-promise and over-deliver,” and I would like to reframe that, friends, it’s not under-promise, it’s promise what customers want, deliver that, and then some. Tony Bodoh: There you go. Mark S A Smith: No unexpected negative experiences is number four? Tony Bodoh: Yep. Number five is that you have to have no unresolved negative experience, and this comes back to psychological closure. If someone does have a negative experience, you have got to be on top of that before they leave your business, before they walk out the door, or if they’re on your website, you’ve got to deal with those things as early and as quickly as possible. Now, if people do have an unexpected negative experience, the faster and better you deal with that situation, the more likely they are to actually leave you a five star review. There are some exceptions to this, and one example would be when I worked in the hotel industry years and years and years ago, there was this myth, and I still see it circulated on occasion, if we know that people are going to be more satisfied when we fix a problem, then we should create a problem that we know we can fix. There’s data to support them, but what it came down to, and I actually did the research for this hotel company, it was fascinating because we could actually exceed expectations on the fix, which meant a five star review or the equivalent only about 10% of the time that people had a problem. Tony Bodoh: You want to create problems, and only be able to actually exceed expectations on fixing it 10% of the time? That’s not a winning game for me. Tony Bodoh: If you go back to the beginning of the conversation, where we were talking about if you have a poor quality product or a lower quality product than maybe your competitor, how do you actually get the five star reviews, well that comes back to the relationship. If I know you are trustworthy, if I know that you are going to do the right thing for me, I will settle for a lower quality product, or I will pay a higher price, because I want to know I’m going to be taken care of. Mark S A Smith: That’s exactly it, and it’s going to go as well as it possibly can. That is so fascinating. Now, we haven’t gotten to the real punchline, which is, how do we engineer these experiences? We’ve talked a little bit about that, but the secret word is what you’re working on next. Mark S A Smith: Micromoments is how we engineer these five star, multi-sensory positive experiences, it’s micromoments, and that’s what you engineer for your customers. Tony Bodoh: Yeah. What happens is, the human body is designed to feel these emotions. Now, we have emotions coursing through us all the time, but the one we’re paying attention to is the one we feel. What happens though is that when people are making decisions like purchase decisions, I’m online, I’m reading reviews, I’m not always consciously aware of what’s capturing my attention. In other words, before I actually know what I know, before I’m consciously aware, my brain has already made a decision for me, and now I’m logically defending my decision, again going back to the self-identity. 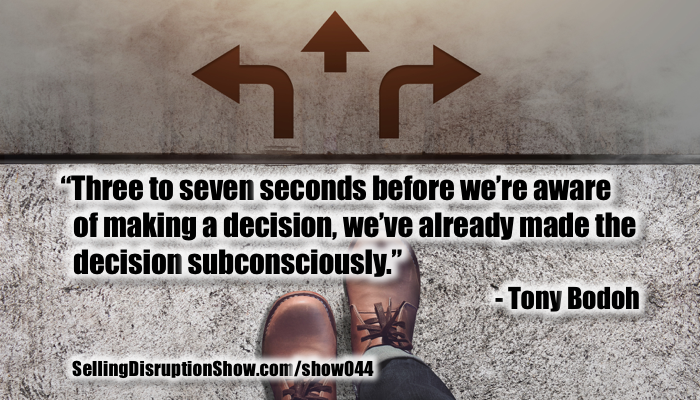 Research has been able to show us in the last couple years that between three and seven seconds before we’re aware of making the decision, we’ve actually made the decision. That’s where this whole concept of micromoments comes out, because something captures our attention pre-consciously, before we’re aware of it, our brain is processing that for a fraction of a second or a few seconds, and it’s causing us to make a decision, causing us to change our behavior, we do something, and then we reflect back on what just happened consciously, now because our slower brain has caught up, and we look at it and say, “Oh, I did that because.” Here’s the reality, folks. Depending on who you read as far as the research is concerned, your subconscious mind can process 200 million bits of information for every one bit of information your conscious brain can process. Tony Bodoh: You have no chance of being consciously aware of everything that’s happening around you or within you, so these emotions are firing all the time. If we recognize that the old model of the rational human being is not a reality, we are feeling beings who think, not thinking beings who feel, and that’s quoting I think Kahneman, a famous economist. Mark S A Smith: Wow, that’s fantastic, what a great insight. If you think about the pressure on your feet, the pressure on your backside as you’re sitting listening to this, the light beaming on your eyeballs, there’s so much input. The question is, where have we made the focus? Micromoments are about directing the focus to where we want our customers to pay attention. Tony Bodoh: The whole essence of marketing is to capture attention. What most marketers fail to understand, and this is where the reviews come into play, is that once I’ve captured their pre-conscious attention and I’ve got them focusing on something, what do I do then? What has to happen is that you’ve got to capture their attention and hold their attention, and then confirm the reason, give them this awareness of, “This is the best thing for you,” not just by promising, but actually delivering that. That’s where your marketing departments are often separated from operations, and that gap between the two is what causes your negative reviews. If I’m promised one thing, I feel like I received something lower than I expected, I leave a poor review out there or I don’t leave a review at all. Mark S A Smith: My energy, my time. Tony Bodoh: “… And do work with this company,” and so I go find someone else that’s got more stars, more reviews, more positive statements about them. Mark S A Smith: That’s exactly it. Therefore, we know that your positive reviews creates more revenue and disrupts your competition. Tony, this conversation has been extraordinary, we’re going to have to schedule another one really really soon. I know that my listeners are loving what you’re sharing with us. What do you want our listener to do next? Do you want them to go buy your book, The Complete Experience, do you want them to call you, do you want them to go to your website, what are you suggesting they do to learn more about this? Tony Bodoh: They can actually find me on Facebook, I’m trying to be socially conscious and aware here. Mark S A Smith: I’ll also have a link on the website to your books. What a delight, thank you so much, Tony. I am always learning, always expanding with every conversation I have with you. I’m in deep gratitude in you helping me see whole new ways of selling disruption. Tony Bodoh: Thanks Mark, it’s been a pleasure as always.